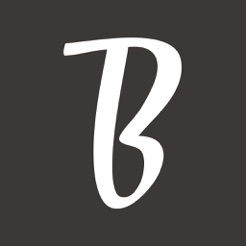 BarNotes is the social app dedicated to the art and craft of the cocktail. Discover great new cocktail recipes and connect with fellow cocktail aficionados and notable mixologists. 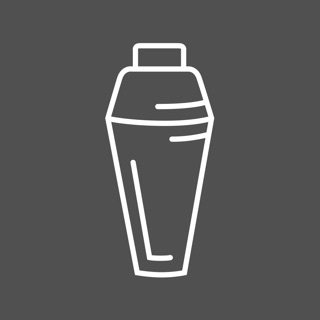 Share your unique twist on a classic cocktail recipe and the story behind what the cocktail means to you. 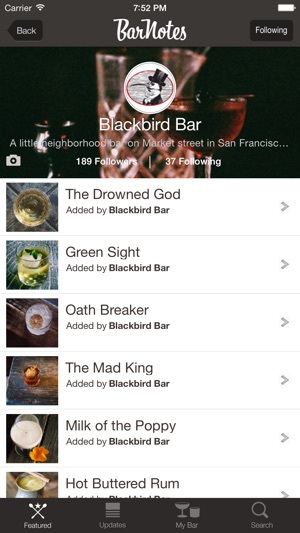 BarNotes is about the cocktail experience, it’s not simply a recipe app. 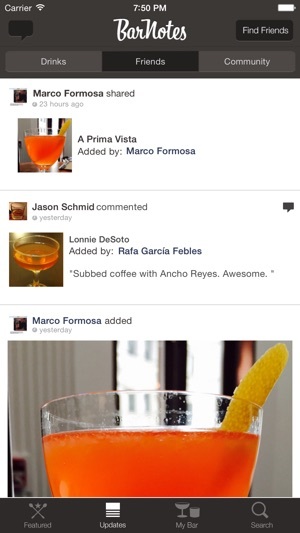 You can connect with your friends, load drinks, like and comment on what they’re imbibing. Drinking is social, and so is BarNotes. You can connect with your friends from Twitter and Facebook and when you load a new cocktail, you can share the experience out socially. Start with a beautiful photo of the drink you’re about to enjoy, load up the ingredients in whatever detail you’d like to. Tell the story behind the drink, where you are, who you’re with, the inspiration for the cocktail or the master mixologist who just prepared it for you. 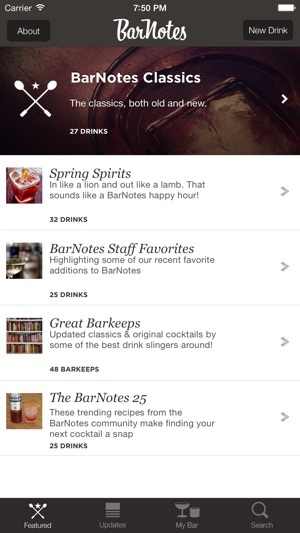 BarNotes is a place to learn about cocktails and share your passion for a good drink. Learn one-of-a-kind recipes for amazing libations from our featured bartenders from the most famous cocktail bars in the world. 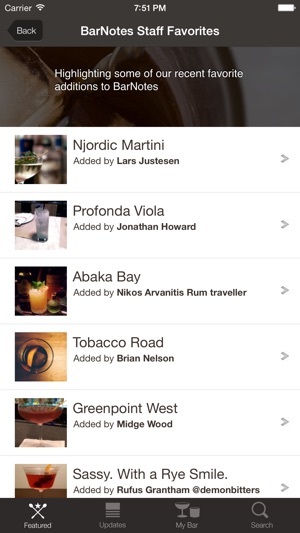 We hope you enjoy BarNotes as much as we have enjoyed creating a social experience around great cocktails. Cheers! Okay, so it's been a little while since our last update, but can you blame us for enjoying one too many of the >7,000 cocktails YOU the Barnotes community have shared? In this release, we fixed the social connections for both Facebook and Twitter to make finding your drinking buddies that much easier. We've also made some other minor tweaks and changes that should be reflected in faster response times and smoother interactions. Cheers from the Barnotes team and here's to drinking well! 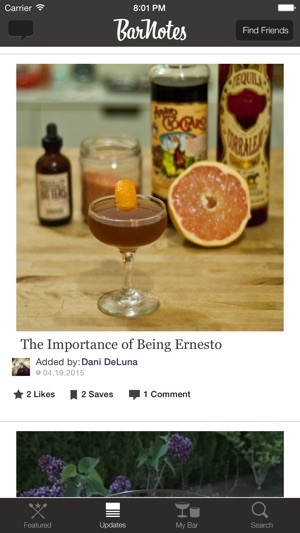 It's a good model, users can post drink recipes with a photo. 1. The splash page never seems to be updated. Apparently it's been Negroni week ever since I downloaded the app months ago. 2. The app will often hang up when I try to save a recipe. 3. Search. Scroll down thru results, load more, load more, tap a recipe to open it, tap to go back to search results, and it goes back to the first page of results, meaning you have to scroll down and load more, load more again to get back to where you were. Hands down, exactly what I have been looking for. 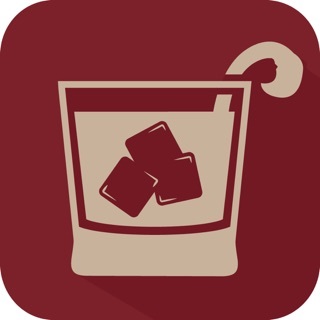 You can create and store your own cocktails, which I don't think any other app will let you do. But greater than that is the fact that I can follow my friends, even pretty well known bartenders, and see what cocktails they have added. I added a few cocktails, and other people have started following them. The social aspect of having others comment on your creations, or seeing other mixologist talk about variations of cocktails, is something I've been looking for. Incredible app.